Gabrielle Crawford, English photographer, and Jane Birkin, French actress and singer, met in 1965. Gabrielle has been taking photographs of Jane ever since. Their great friendship can be seen through every photograph and makes for a unique catalogue of Jane's life. 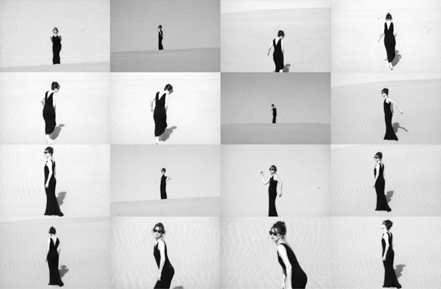 "There is something so intimate about photographs taken when you can just be you"
In 2002 Jane and Gabrielle co-produced "Arabesque" the concert filmed at the Odeon in Paris. The DVD, that accompanies this evening is 90 minutes, was directed by Gabrielle and contains her own footage shot over six months. 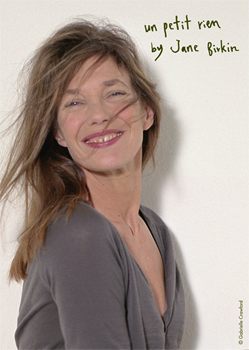 Finally, Gabrielle's documentary following the career of Jane Birkin "Mother of all Babes" has been sold globally, to the BBC and the Sundance chanel (USA). A book of 200 photographs has been published by Flammarion in the autumn of 2004 in France and was published in Germany in 2005. The idea for ARABESQUE was conceived in 1999 as a unique concert for France Culture at the Avignon Festival. Jane Birkin, Philippe Lerichomme, her long time friend and Artistic Director, and Djamel Benyelles, an Algerian violinist who had adapted Serge Gainsbourg’s songs, introduce into the familiar melodies an Arab spirit, shades of Andalusia and a touch of the Orient. In Jane’s opinion, the development is totally in harmony with Serge’s soul. His music is dazzlingly reinterpreted, contrasting Djamel’s haunting violin, the dancing gypsy moods of his fellow musicians, and Jane at her most sensual. Jane’s voice adapts perfectly to the rhythms and tones... a haunting Amour de Moi, the classic Babyalone in Babylon, plaintive Elisa and a real party in Couleur Café. The extraordinary reception in Algeria, where a concert was performed for the victims of the Bab El Oued floods confirmed the passion the evening holds. Concerts in three national theatres in France met with rapturous applause, and resulted in a request from the prestigious Odéon National Theatre in Paris to perform there for five nights. It was at this location that Jane’s photographer friend seized the opportunity to film the event. Jane lovingly embraces these new artistic possibilities and an enchanting and totally captivating performance is delivered.